When I created this blog over two years ago it was to chronicle my forays into cooking homemade food. I was in the midst of an eight-year-long journey to make myself self-sufficient in the kitchen and reduce my reliance on pre-packaged and over-processed foods. I'd like to say I've come a long way since then (it took me a decade to get to this point), but The Rising Spoon hasn't necessarily caught up to my current food lifestyle. Well, at least in terms of explaining why I choose to eat (or not eat) certain foods. It's totally my fault! I felt overwhelmed in having to label myself back then, so I didn't share it with y'all. 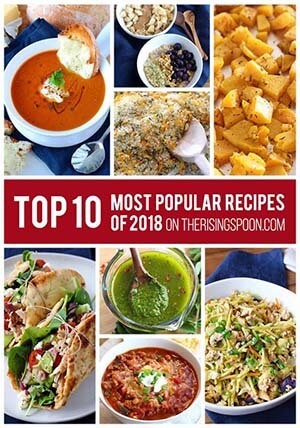 Nowadays, I happily categorize The Rising Spoon as a real food blog. I feel comfortable with this label, as it is the closest to my food philosophy, and far less restrictive than many other "diets". I follow the 80/20 rule most of the time, which means I avoid overly-processed foods 80% of the time (this percentage fluctuates) and eat whatever else I want (kettle chips, cheez-its, delivery pizza, etc.) the other 20% of the time. No one is perfect. I'm certainly not. And 99.99% of the food and health bloggers you see out there on the internet DO NOT eat perfectly all the time either. 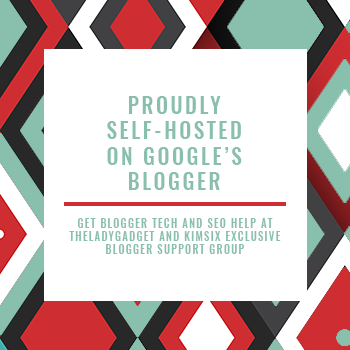 It is not uncommon for a food (and even health food) blogger to spend a whole day cooking, food styling, photographing, and editing recipes, and then order pizza or some other form of take-out at 6 p.m. because they're too tired to cook. This is real life, folks. If you're busy and don't plan ahead...your real food options are reduced. So, don't let anything on the internet give you unrealistic expectations. This is why I refer to it as a lifestyle and NOT a diet. It's not a short-term fix. You're focusing on changing the way you eat and cook for life. The best thing I've done to positively impact my health and energy levels is eat less junk and more real food. How you choose to define "real food" may be different than me. That's okay! Can we, at least, agree that we're all human and need food for nourishment? Preferably food that is closer to its whole form, and not so littered with chemically-laden names that it sounds like a science experiment? 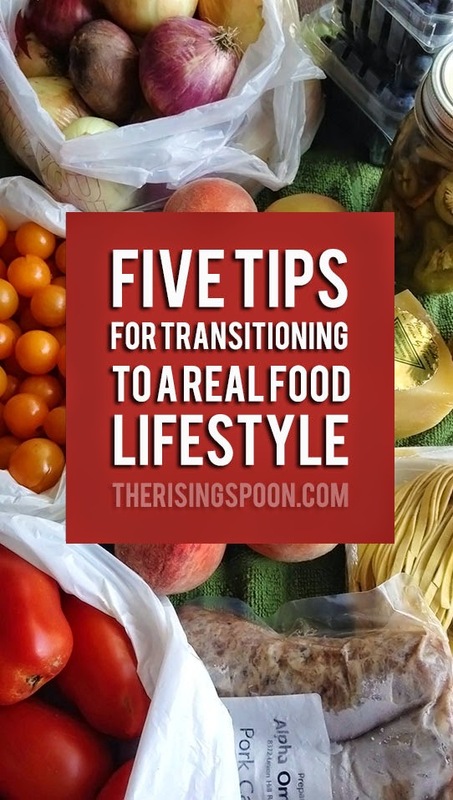 This is the first and most important tip when transitioning to a real food lifestyle. If you decide to chuck out all your "processed" or convenience food at one time and replace it with a bunch of whole foods, you'll probably fail. 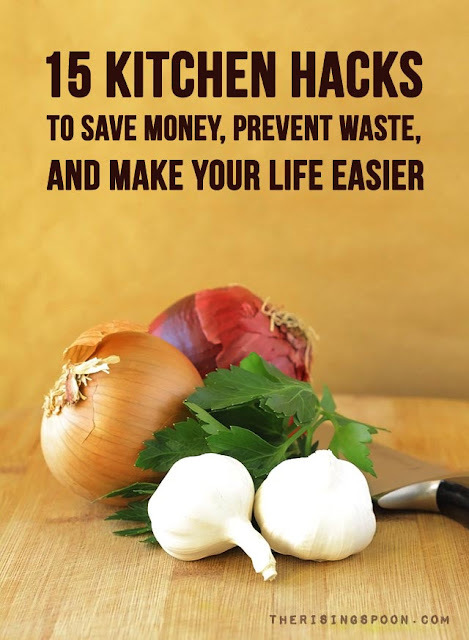 Not only will it be expensive to replace everything in your fridge, freezer & pantry in one go, but you'll be left with a kitchen full of ingredients and a whole lot of work to do. The moment you're tired and hungry, you'll reach for take-out. That would defeat the whole purpose. If possible, make time once a week (or even once a month) to visit your regular grocery or warehouse store by yourself. With no kids, spouse, family, or friends in tow, you can take as much time as you need to scan the back label of every product you're considering purchasing and compare price per unit so you're getting the best deal per ounce. Label scanning and product comparison takes considerable time in the beginning. If someone else is tagging along, chances are they'll either rush you into making impulse buys or you'll try their patience. The front labels of food products function as advertisements, so phrases like "wholesome" and "all natural" mean nothing. To really know what you're consuming you MUST take a hard look at the ingredients list on the back of the label. It doesn't matter if it was purchased at a regular grocery store, health food store, or even a farmer's market. Is there a laundry list of unpronounceable ingredients? Time to choose a different brand, learn how to make it at home, or opt out altogether. This needs to become a steadfast habit, at least until you can begin to memorize what brands or products have a cleaner list of real food ingredients. Since you'll be taking baby steps, you may want to pick a few ingredients to avoid and go from there. When I first began scouring labels, the ingredient I made a point to avoid was high fructose corn syrup. Over time I began cutting out other things like corn syrup, artificial sweeteners, and soybean oil, and now have a much bigger list of ingredients that I try to avoid. Every little bit counts! Take a look at your weekly or monthly grocery list. Identify five to ten food items that you're buying pre-made from the store on a regular basis. Set a goal for yourself to learn how to make one of these foods at home (or to buy a less processed version of it) once a month. Keep working on the list, and if you're feeling ambitious, try several recipes a month. Keep these new recipes in the monthly rotation (tweaking them to your own tastes) until it becomes habitual to prepare them. I'll list some of my own homemade recipes and tips for you to try below. Seasoning blends at the store, save money & avoid additives by making your own homemade spicy taco seasoning, lemon pepper seasoning, pumpkin pie spice mix, and gingerbread spice mix. Store-brand croutons, make your own (super yummy) homemade croutons with leftover bread (these are great for stuffing)! 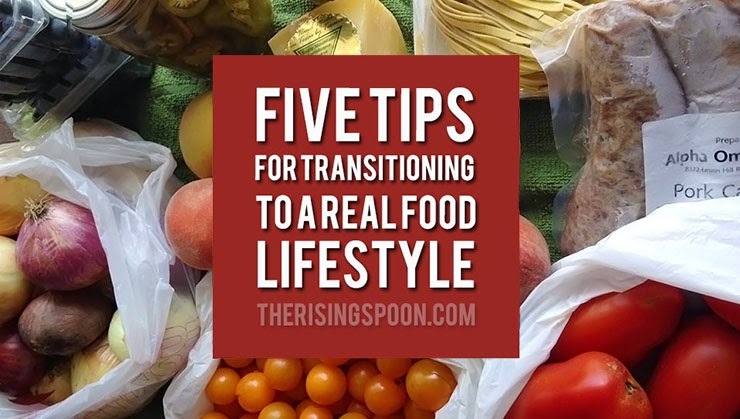 What are your best tips for transitioning to a real food lifestyle? 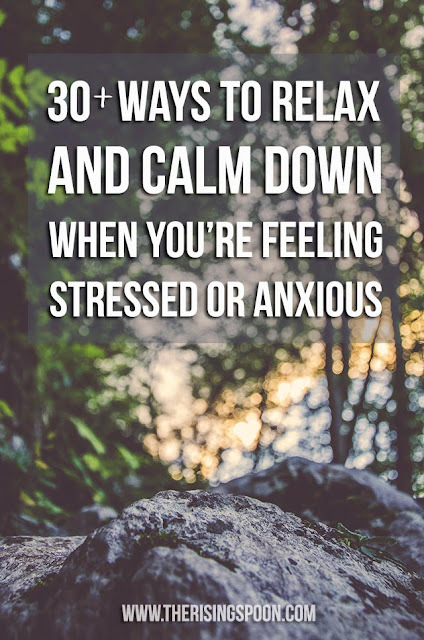 Was it an easy or difficult process for you? Are you still a newbie or would you consider yourself a real food veteran?